Losing a loved one is never easy. But, it is especially hard when your child loses someone they love. While it is an uncomfortable situation, death is an inescapable fact of life. By talking to our children about it, you may discover that they know more or less than you figured they would. When they lose someone they love, a child can show and feel grief in a multitude of ways. 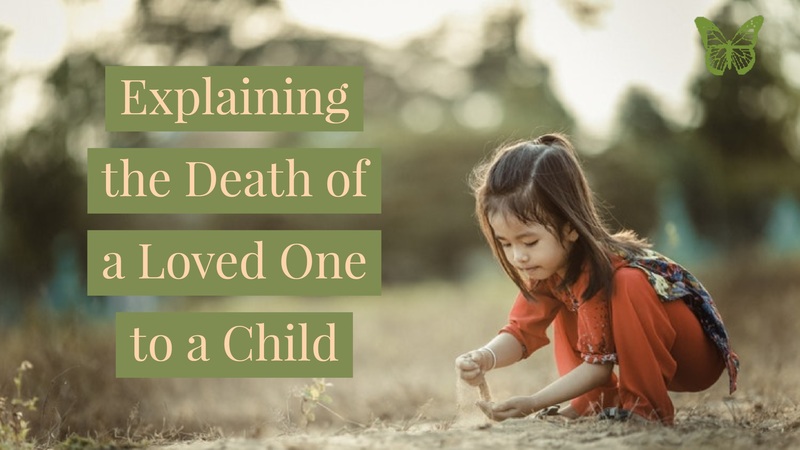 Below are a few things you can do when explaining the death of a loved one to a child. When telling your children that someone has passed away, be sure to approach them in a caring way. Be very simple and direct with them. For example, “I have some sad news. Grandpa died today”. Give them time to take in your words. No child reacts the same as another when hearing news of a loved one who has passed. Some will cry while others will ask questions – others may not react at all. It is okay for them to react differently. Be sure to offer comfort and reassurance. It is important to encourage your children to tell you how they are feeling in the days, weeks, and months that follow the loss. Be sure to share your own feelings as well. For instance, if you are having a sad day about the loss, be sure to tell your child. They may be able to provide comfort for you, as well. Be sure to ease their worries by explaining what will happen in the days to come. If their grandpa has passed away and normally picks them up from school, be sure to explain the new arrangements. Allow your children to be a part of the viewings or the funeral, or give them the option to join in. Explain to them ahead of time what will happen at the service so they are prepared. Let them know how people will offer words of comfort to the family and how you will be celebrating the life of the loved one you lost. You may also need to describe the burial or cremation and your family’s beliefs about what happens to a person after they pass. Just like you, your child will need time to heal from the loss. Grief is a process for everyone and it happens over time. Be sure to have conversations over time about how your child is doing and be sure they are encouraged to remember the good times with the loved one they lost.